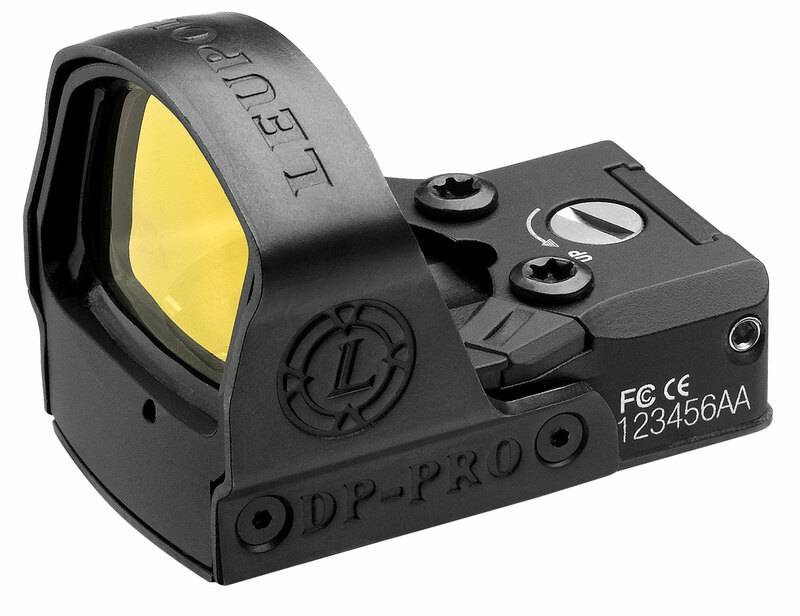 The Leupold DeltaPoint Pro has a lightweight aluminum housing and is shrouded by a spring steel for the ultimate in ruggedness while the aspheric lens generates a wide field-of-view with some of the best image quality ever seen in a reflex sight. Leupold's patented Motion Sensor Technology discerns any movement of the sight and automatically activates the illumination which is inset into a light tunnel to reduce the light signature in tactical situations. The tool-less, spring actuated battery compartment makes changing the battery quick and easy while being impervious to water at a depth of 33 feet. Its 1 MOA elevation and windage adjustments eliminate the need for adjustment lock screws. From handguns to ARs; and from .22s to .458s, the agile DeltaPoint Pro is always a step ahead.